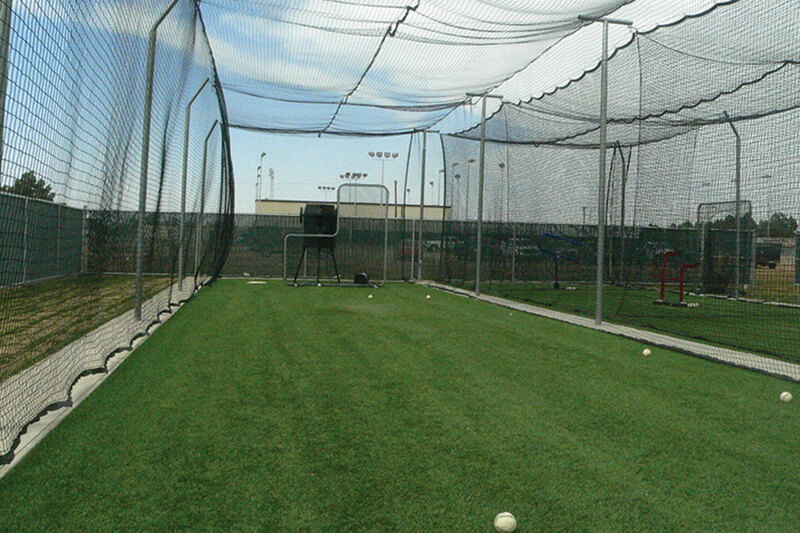 TUFFframe™ Batting Cages stand up to it all. Features heavy-duty poles, prefabricated cables, and premium UV-treated nets to bring you the best hitting tunnels. 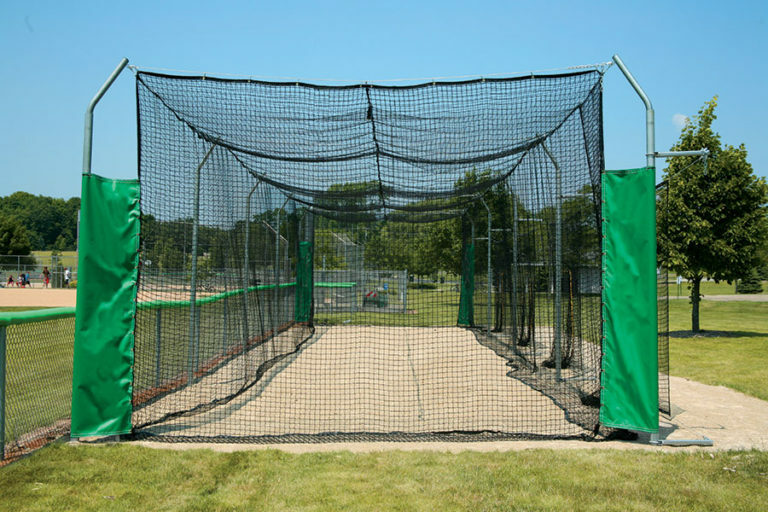 SAVE $100 when you add a Outdoor Batting Cage Accessory Package. 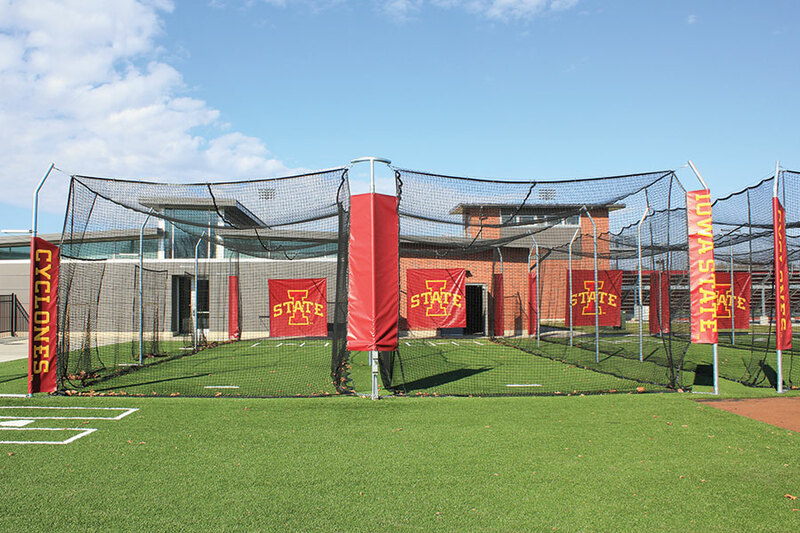 These hitting tunnels have survived some of the toughest weather mother nature has thrown at them thanks to their quality materials and construction. 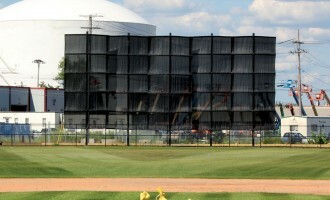 Heavy-duty poles, prefabricated cables, and premium UV-treated nets make it all possible. At your request, we can also provide a wind speed rating for your netting with signed and sealed engineering calculations for any state or region in the country. Batting cage ships via freight and ready to install. Only heavy-wall galvanized steel stands up to it all. 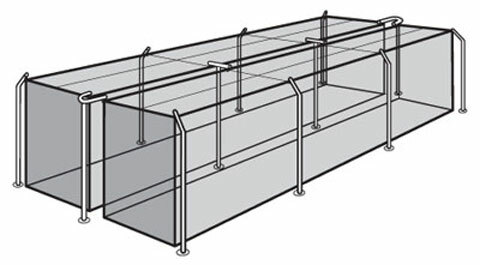 Designed around schedule 40 galvanized poles (see comparison image above). 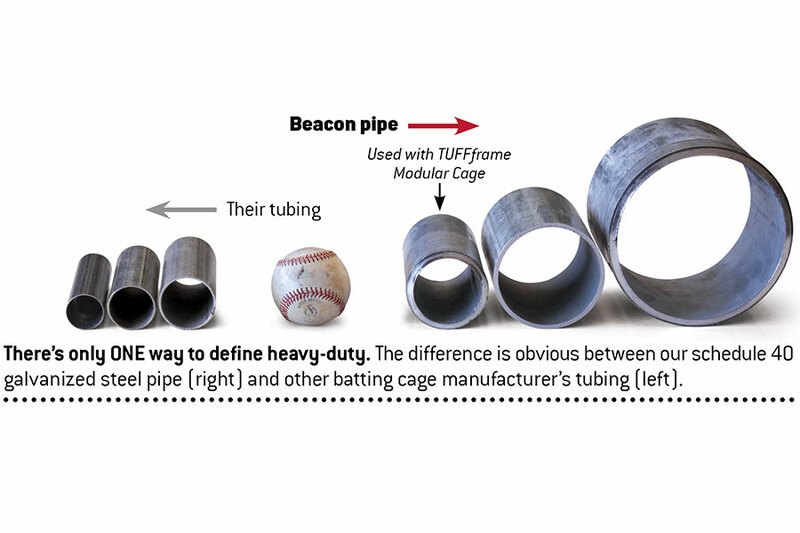 They’re made from large diameter galvanized steel pipe, not the typical thin walled tubing used with other batting cages. Available single- or double-wide. Our heavy-duty nets are tough, too. Designed in-house and made in the USA. They all feature heavy-duty end panels, vinyl reinforced joints, grommeted hanging points in top section (perimeter and center), two large over-flap doorways and fully grommeted bottom edge for staking. Optional lead rope can be sewn into bottom hem. 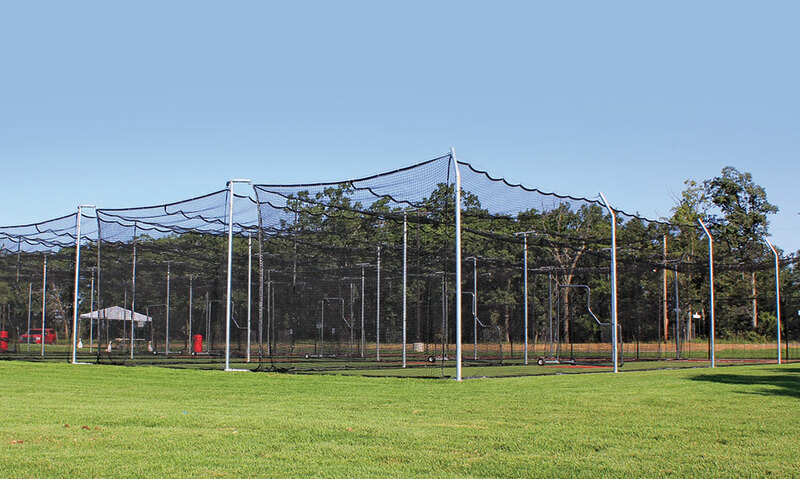 Prefabricated, steel cables support our premium nets and speed installation. 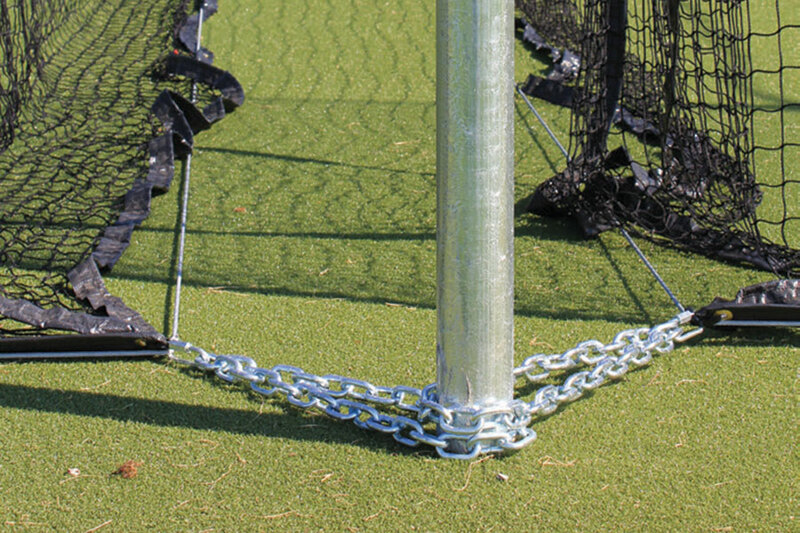 Tensioning Cuffs: Secure the nets at the corners to further restrict wind interference. 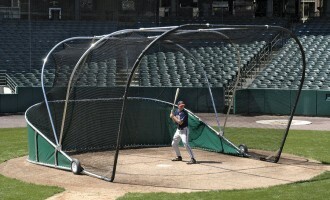 Net Protector: Net or vinyl panels hung on the batting end of the cage to reduce wear on cage net. 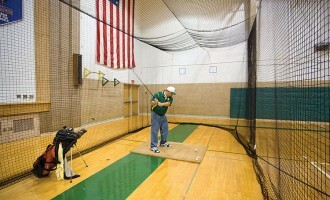 Soft-Toss Attachments: Set of sock-net hitting stations and attachment hardware for one or both sides of cage — stand alone units also available. 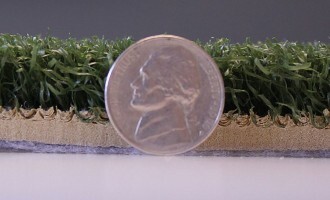 Artificial Turf: Standard roll sizes with various material options. Ground Sleeves: Lets you take down your cage completely, poles and all.